EPES Transport is a full truckload van carrier that is dedicated to providing quality transportation service. Our major transportation markets include the Northeast, Southeast, Southwest, Texas, and Midwest. Epes Transport has a fleet of over 1100 Power Units, 2800 trailers, and over 1200 drivers. Our mission is to continuously improve the quality of our service and to meet and exceed the needs of our customers. We have terminals strategically located in the Eastern US to include Greensboro NC (corporate terminal), Valdosta GA, Richmond VA, Morristown TN, Charlotte NC, Elm City NC, and Rockwall TX. 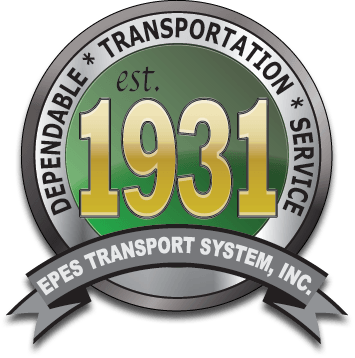 Epes Transport has been in business for over 85 years.